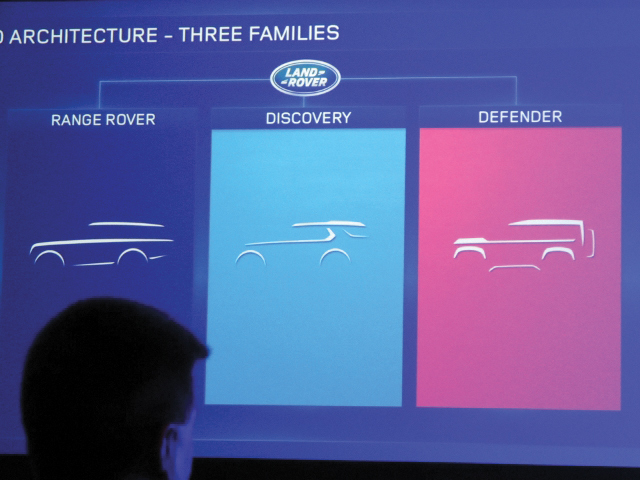 At the 2014 New York Auto Show, I attended a “technical briefing” that presented Land Rover’s future plans for its vehicles. 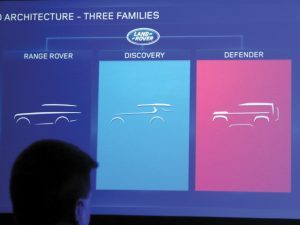 What riveted my attention was the slide that showed a “Defender Family.” Its very existence gave me hope for Land Rover’s heritage vehicle. 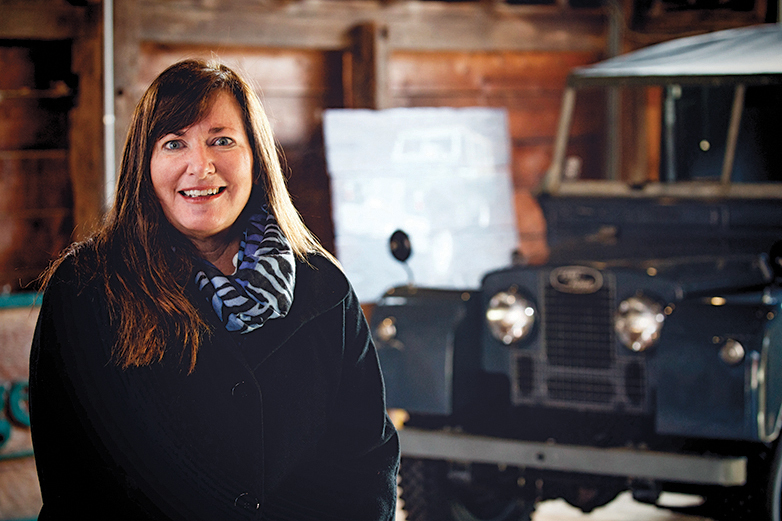 Enthusiasts worldwide mourned the end of Defender production [see Winter 2016 issue -ed.] 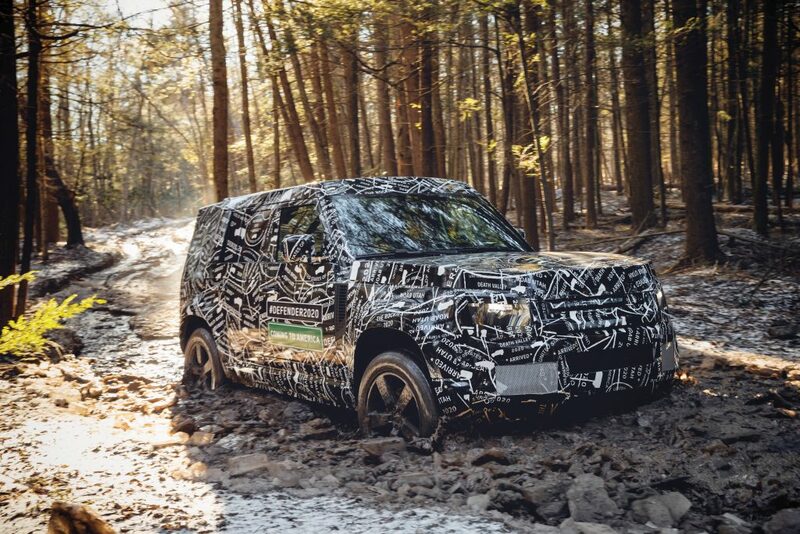 but I took heart that Land Rover promised a successor Defender would appear and would be available in North America. 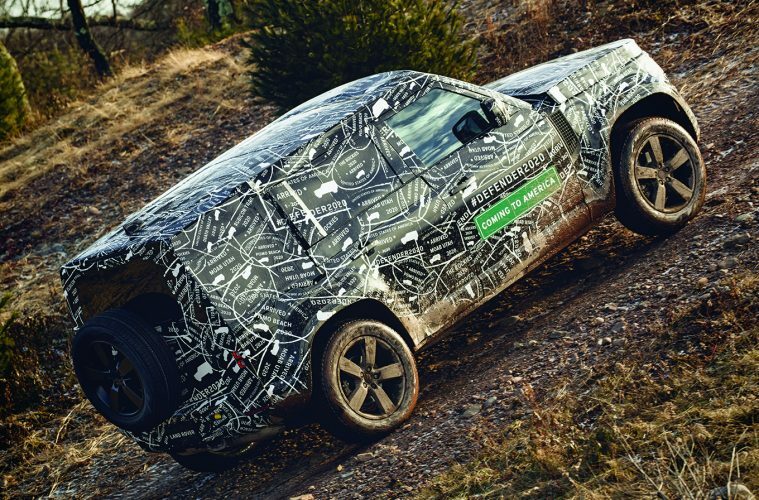 As Sam Cooke sang, “It’s been a long time coming, but a change is gonna come.” The next-generation Defender will arrive in “late 2019” for the 2020 model year. 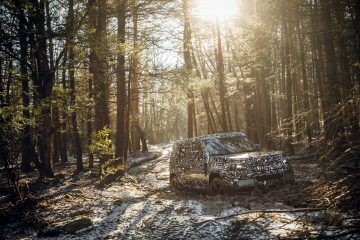 Right after Boxing Day, Land Rover shared photos and videos of heavily-camouflaged Defenders undergoing testing in North America. 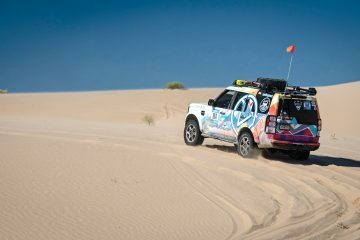 We can twist ourselves into knots speculating on its design and engineering features; as Land Rover has kept both upper and lower lips very stiff. I’ll leave wild conclusions aside until JLR shares more information. 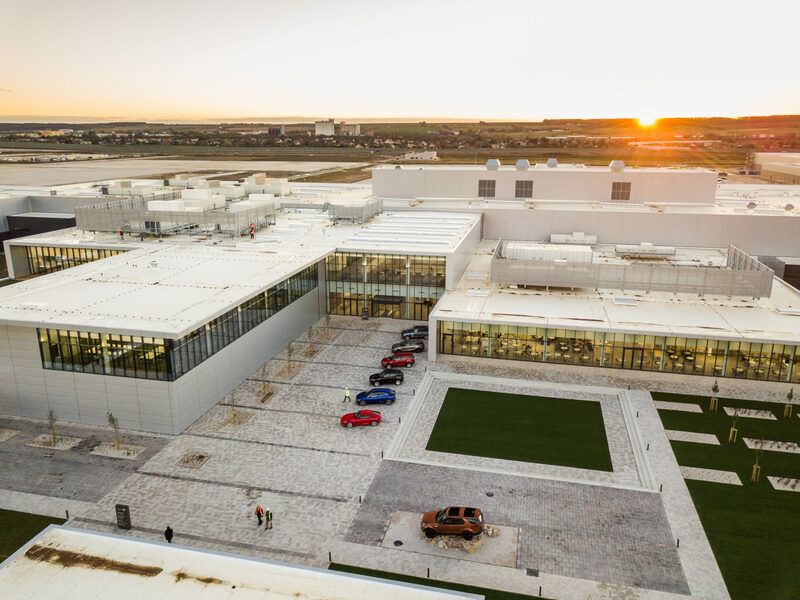 The publicly-available photos show a 5-door model, likely on a 110” wheelbase, with spy shots from outside North America showing a shorter, 3-door model. As the Defender 130 proved popular with commercial and fleet buyers, it might well follow. Land Rover’s Ingenium family of 4-cylinder turbocharged engines, petrol and diesel, meet EPA and fuel economy standards, as well as driver expectations. The aluminum chassis architecture and suspension in the new Discovery and Range Rover Velar will likely provide the starting points for the Defender platform. The last phrase hints strongly that Land Rover needs to manufacture and sell far more than their previous 35,000 Defenders annually. 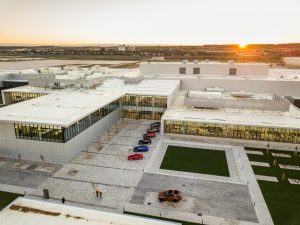 JLR sold 592,708 vehicles worldwide in 2018, and with sedan sales weaker than ever (read – Jaguar), there will be continued pressure on Land Rover to sell more vehicles to make up for the shortfall. 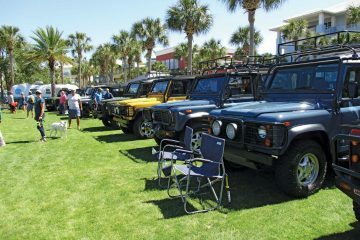 To justify the investment, the Defender cannot simply be a niche product aimed at the relatively small market of enthusiasts. As JLR has done with the Range Rover and Discovery “families,” it must attract new buyers to increase sales. As an enthusiast I accepted — even reveled in — the “quirks” of the last Defenders: harsh ride, noise, vibration, meh climate control and fuel economy, lack of driver assists and connectivity. 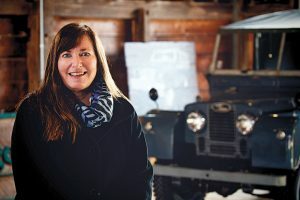 I did so because the Defender would provide me with world-class off-road capability, versatility and utility, brilliant engineering and durability, and I adored its distinctive appearance. I didn’t ask for “all-new exterior” design — I love the old one — but Chief Design Officer Gerry McGovern has not shown much enthusiasm for previous Land Rover styling. To his credit, under his leadership Land Rover designers and engineers have hit home runs with every new Range Rover and Land Rover model. 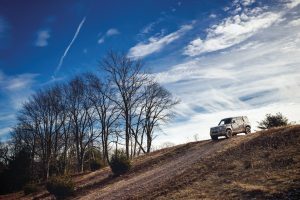 The additional and vitally important new buyers will expect Land Rover to remove the quirks in addition to retaining its all-terrain capacities. That means that the new Defender can’t leak onto your seats, must have a reasonable climate control system, full connectivity for NHTSA “driver assist” regulations and owner expectations, power ports, and must protect occupants in the event of a crash. No pricing has been announced, but it’s impossible not to recognize that as the 4-door Jeep Wrangler Unlimited approaches $55,000, the new Defender is unlikely to fall below that. 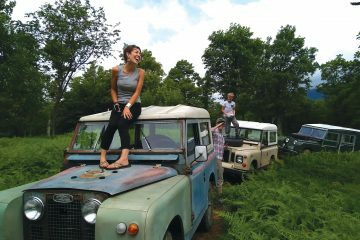 My 1997 NAS Defender sales brochure stated, “When you head off-road, you can proceed with special confidence. 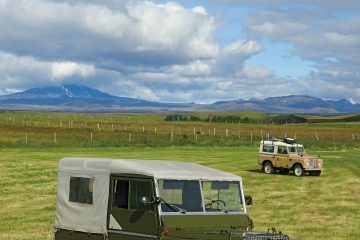 After all, the Defender is purpose-built for the task at hand, having faced the most challenging conditions in remote corners of the world. 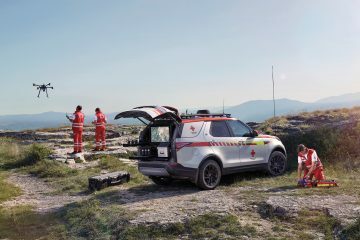 Invariably, it has come through with flying colors, due largely to the fact that it is engineered and built for extreme service.” Given the technology built into the newest Land Rovers, the new Defender will surely match if not exceed the off-road capabilities of its ancestor. Yes, it’s been a long time coming, but the new Defender will finally arrive this year. We won’t see all the variants at once.